Adams Custom Shutters & Blinds, Inc. Comment: I have got a window on the side of the house (contemporary) on the second level, hard to get at, which is leaking...water is coming through the ceiling of the guest bedroom. Comment: Chair railing and lower trim work painted white in Dinning Room and adjacent Library room. Ceiling molding and trim work around two outdoor double doors painted white. Comment: From the basement looking up at a sistered 2x12 floor joist, I have found that someone has cut the entire way through the joists in two locations with no support poles under the cut. I assume the damage is old but no idea how long it has been that way. It almost appears like someone used a hand saw or similar. Looking for repair ideas. Comment: We have two small walk-in closets (5âx5â each) that need to be finished. We want a built-in shelf plus two hanging rods with a shelf above each. Marietta Carpenters are rated 4.70 out of 5 based on 2,779 reviews of 76 pros. 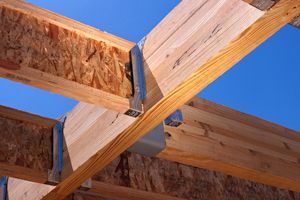 Not Looking for Carpenters Contractors in Marietta, GA?